Is Communist China a Yakuza country? It seems so! | Hey, you know what? ホーム > スポンサー広告 > Is Communist China a Yakuza country? It seems so!ホーム > China > Is Communist China a Yakuza country? It seems so! Is Communist China a Yakuza country? It seems so! The article from the Voice from Taiwan explains how Communist China is. The country has only 61 years of history and has been invading neighboring countries after the declaration of Independence by Mao in 1949. Since then Communist China has repeated massacres not only to its own people but also to the neighboring different races and tribes. It seems their attitude is getting worse by escalating its military force. They don’t care anything but only money. It is so called materialism. Their ultimate clear-cut purpose is to dominate the world. 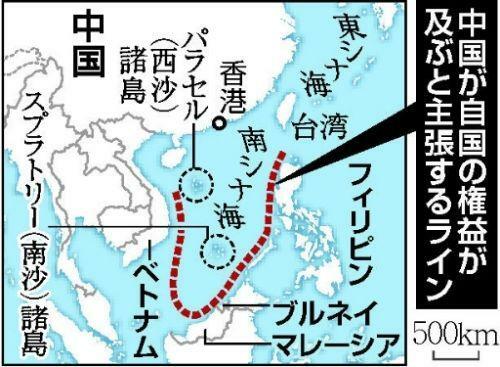 And now they’re trying to rip off Japanese Senkaku-Islands in Japanese territorial Ocean near Taiwan. There are a lot of Historic Documents and Ocean Maps that prove the Islands and the Ocean within EEZ Line belong to Japan. And that has been recognized in the international society. Please get to know the facts in Asia. This is not only the dispute between Japan and Communist China. In recent weeks, a group of uninhabited rocky outcroppings in the East China Sea between Okinawa and Taiwan have become a serious source of tension between Beijing and Tokyo. On September 8, the Japan Coast Guard arrested the crew of a Chinese fishing vessel operating in the waters off the Senkakus, which is administered by Japan. Reports indicate that the fishing boat, in an attempt to evade inspection, collided with two coast guard vessels. This should be a routine matter—even in a region where sovereignty is in dispute. Yet the incident has approached crisis levels because it happened in the context of growing concern over aggressive Chinese diplomacy in many of Beijing’s territorial disputes with its neighbors, as well as a military modernization program with unsettling security implications. For the same reasons, this matter will not end with the release of the crew and captain of the Chinese boat. These islets, called the “Diaoyutai” by the Chinese and the “Senkakus” by the Japanese, are claimed by both sides but are currently under the administration of Japan. Part of the ongoing disagreement is a fundamental territorial dispute. In an Asia marked by many disputed borders (e.g., Tok-do/Takeshima between South Korea and Japan, the Northern Territories between Japan and Russia, the South China Sea, the precise borders between India and China), the Senkaku/Diaoyutai are hardly atypical. For both sides, however, larger issues are at stake. This dispute, for example is as much about the resources in the waters and under the seabed around the islands as it is about sovereignty over the islands themselves. The islands are in the midst of rich fishing grounds. But even more importantly, they may sit atop significant oil deposits. For both China and Japan, control over the islands is a reflection, in part, of their competition over natural resources. Formal sovereignty over the islets may also have implications for the establishment of baselines for Exclusive Economic Zones (EEZs) and attendant exploitation of resources in those waters. The Chinese and Japanese have been disputing the precise demarcation of their respective EEZs in the larger East China Sea area for the past several years, affecting efforts at oil exploration. For the Chinese, the Diaoyutai are also partly about history—and specifically the bloody record of Sino–Japanese relations. From the Chinese perspective, Japanese claims are about historical revisionism; Beijing believes that Japan’s claim denies China’s claim to have first discovered, and established ownership of, the islands. Sino–Japanese interactions often spark a nationalist reaction. This nationalist sentiment may also explain why Beijing has thus far shown no interest in conciliation or concession. The Chinese insistence on “unconditional release” of the captain of the fishing boat (the rest of the crew has already been repatriated) may be a nod to domestic sentiment. Further complicating affairs in this regard is the potential role of Taiwan. On September 15, a Taiwan fishing boat with several activists aboard was turned back by the Japanese Maritime Safety Agency as it tried to approach the islets. Both Beijing and Taipei are in agreement that these islands are not Japanese, even if they are not in agreement on much else. Indeed, the apparent intent of a group of Hong Kong activists to also protest the Japanese claim highlights that, for Chinese of many political stripes, the islands are a point of national pride. Fortunately, cooler heads seem to have prevailed in both Taipei and Hong Kong, and the protest flotillas remain anchored. The United States’ position has, thus far, been carefully staked out. On the one hand, Washington has refused to take a formal position on ultimate sovereignty over the islets. Washington would clearly prefer to see the entire situation peaceably resolved. At the same time, however, the U.S. has noted that the islands are under the purview of the 1960 U.S.–Japan Security Treaty, since that treaty covers all territories under the administration of Japan—which would include the Senkakus. Where U.S. and Chinese interests potentially collide is in the security implications of this incident. While the islets themselves have little strategic value, recent Chinese assertiveness about control of the Yellow Sea, South China Sea, and the larger East China Sea have set Washington and Beijing at odds. Chinese demands that the U.S. not engage in joint exercises with its ally South Korea in the wake of the North Korean sinking of the South Korean frigate Cheonan, as well as Chinese harassment of U.S. oceanographic survey vessels, hint at a broader Chinese campaign aimed at establishing dominance over the waters within the “first island chain,” which encompasses the East China Sea. The blurring of the lines between Chinese government and civilian roles is exacerbated by past Chinese use of civilian fishing boats to press territorial claims. Indeed, several of the vessels that harassed the USNS Impeccable as well as the USS John S. McCain III were civilian fishing boats. This precedent raises the fundamental question of whether the current Senkakus crisis was precipitated deliberately by the PRC government through the use of a civilian vessel as a stalking horse. It is difficult to imagine that this group of islets should precipitate a full-blown crisis involving the world’s three largest economies and Asia’s largest navies. Yet history is replete with crises that spun out of control, many of which also started from small issues and incidents. It is therefore incumbent upon Beijing, Tokyo, and Washington to proceed with caution. For the PRC, these incidents once again demonstrate that Beijing is extremely poor at crisis management. From a foreign ministry that appears unable to move beyond repetition of its talking points to the lack of any kind of policy initiatives even after several days of escalating tensions, China’s behavior is consistent with its prior non-responses to similar crises. Beijing would do well to ratchet down its rhetoric so that it does not paint itself into a corner through ill-considered statements and actions. Moreover, in light of this and other recent experiences, Beijing will hopefully begin earnest participation in transparency and confidence-building measures rather than relying on unilateral demands imposed upon China’s neighbors. 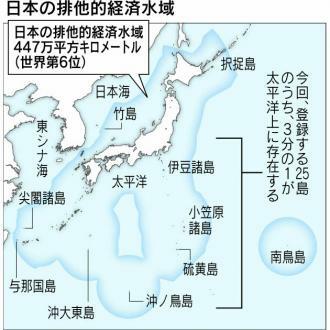 For Japan, investigating a fishing vessel trespassing in areas under its administration (which was what precipitated the crisis) would seem appropriate, as does its reaction when its orders are resisted. Yet the reported decision to release the captain without trial seems to undermine this position. More to the point, Japan’s response is likely to teach Beijing that if it blusters and shouts sufficiently, it will get its way. By failing to hold to their principles, Japanese officials should brace themselves for further such incursions and ever more assertive Chinese stances. * Stand by America’s allies. Secretary of Defense Robert Gates and Chairman of the Joint Chiefs of Staff Admiral Michael Mullen were right to reaffirm the U.S.–Japan Treaty of Mutual Cooperation and Security. That their explicit support did not apparently strengthen the resolve of America’s Japanese allies should give all concerned—here, in Japan, and in the broader East Asian region—pause. * Express support, but do not dictate. In light of ongoing Sino–American tensions, a greater U.S. role in this specific crisis might well have exacerbated tensions. Washington should therefore be applauded in making it clear that it is Japan rather than the U.S. that is the main party to this dispute, even as Washington made clear to Tokyo that it was standing by its security commitments and coordinating its responses. * Do not be coerced by Chinese irascibility. In the future, the U.S. should also draw attention to what is an apparent trend of Chinese provocations in disputed seas and call for their cessation. Chinese escalation of what should be a routine fisheries matter is a perfect case in point. It is uncalled for and raises concerns throughout the region about China’s long-term intentions toward its neighbors—and not just in Japan. The U.S. should make clear that it will continue to preserve and protect freedom of navigation—a principle it has long supported. The recent tensions between China and Japan over rocky islets in the East China Sea are likely to recur as China pushes its territorial claims out to the first island chain. Dean Cheng is Research Fellow in Chinese Political and Security Affairs in the Asian Studies Center at The Heritage Foundation.